Check out this fascinating phenomenon located in Schooner Gulch State Beach in Mendocino County, California. It’s called, appropriately enough, Bowling Ball Beach, and photographed here by JJ Harrison, a PhD Pure Maths student visiting from Australia. Technically called concretions, these hard spheres are composed of materials far more resilient than the Cenozoic mudstone that once surrounded them. 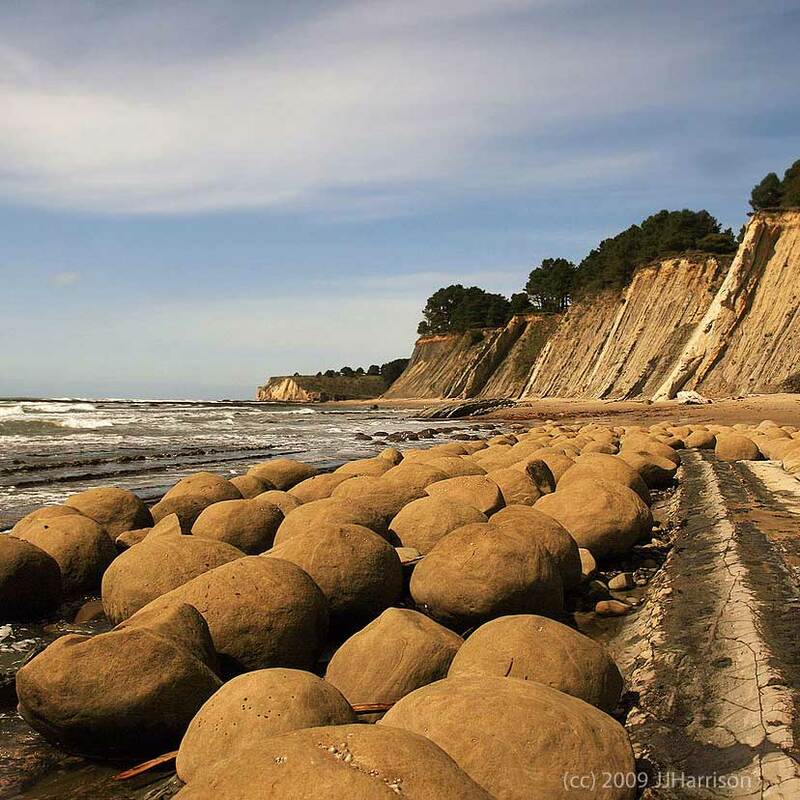 Over millions of years, this has eroded away under the constant onslaught of the Pacific Ocean, forming the cliffs that line the shore behind the beach and leaving the tougher ‘bowling balls’ behind. View more JJ’s nature photography via his online wikimedia commons gallery.